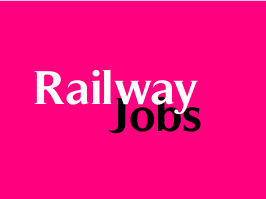 Konkan Railway Corporation Limited (KRCL), Belapur has invited applications for the recruitment of Management Trainee (Legal) vacancies. Educational Qualification: Candidates should possess an Integrated law degree (five year course) from recognized University/ Institute with proficiency in Computer usage. Age Limit: Candidates upper age limit should be 35 years as on 01-01-2016. Age relaxation is applicable as per rules. Selection Process: Short-listed candidates will be called for written test/ Personal Interview. How to Apply: Eligible candidates may apply online through the website “www.konkanrailway.com” & after Submission of online application send print out of application along with all relevant documents in an envelope super scripted as “Notification No. and Post applied for and registration ID” to the office at Belapur Bhavan, Plot No. 6, Sec-11, CBD Belapur, Navi Mumbai-400614 on or before 22-12-2015.